One of the scariest things about writing is staring at a blank page. I don’t know what to write, I think. Or, Where do I start? I was feeling that way when I sat down to write this blog post. I knew that I’d had a mental list of topics that I wanted to blog about, but suddenly I couldn’t call up a single one of them. Then I remembered the strategy that I’d used to help my students get past writer’s block when I was teaching an after-school creative writing class. Some of my seventh- and eighth-graders found it easy to put pen to paper, but several others would consistently struggle with what to write. A veteran Language Arts teacher had given me a copy of If You Want to Teach Kids How to Write…You’ve Gotta Have This Book! 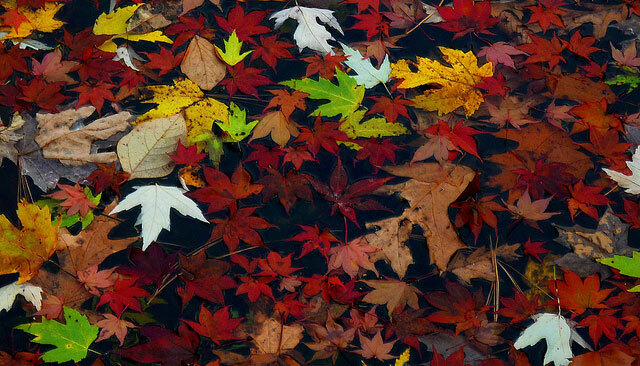 The author, Marjorie Frank, said that the mistake that well-meaning teachers often make is asking kids to sit at their desks and respond to a prompt like, “Write a poem about fall.” They’re puzzled when the kids just sit there. The missing piece, says Frank, is giving kids the sensory experience of fall. She recommends taking students outside the classroom to smell the crisp autumn air, watch the yellow and red leaves dance on the breeze, and snap fallen branches in their hands. After I did this with my students, we sat on the grass with a large sheet of butcher paper and a marker, brainstorming fall words. Cool. Crackling. Bare. Damp earth. Afternoon shadows. We jotted them all down. Then we wrote our fall poems, surrounded by nature instead of classroom walls, and not one of us had trouble doing it. Writing comes more easily once you’ve gathered inspiration. It’s like running hot water over the seal of a tightly closed jar to loosen the lid. Instead of jumping into the work of writing without being properly inspired first, we can actively do something to inspire ourselves, so we have something to say and the desire to say it. I love Liz Gilbert’s playful use of language, Jeanette Walls’ rich imagery, and Tina Fey’s ability to make me laugh out loud in a bookstore with her self-deprecating descriptions (“dead shark eyes” just kills me). The only thing more motivating than reading a delightful passage by the writers I admire most is reading one that I am proud to have written myself. When I feel blocked, I have to remind myself that I, too, am capable of good writing. I go back to some of the pieces on the blog where I’ve been able to say exactly what I want to, and I say to myself, Look, right here. See? You’ve done it before — you can do it again! When I’m writing about the Reschool Yourself project, reading my own work also gets me back into the sensory experience of reliving my school days: the lively sounds of children playing at recess, the smell of cooked vegetables in the cafeteria, and the smooth feeling of a tetherball against my fingertips. Once I immerse myself in the vivid details again, I feel energized and ready to put them into words. My last step is laying the groundwork for Future Melia to avoid writer’s block. When I’ve put myself into a creative mindset, I take a few moments to transfer my long-running mental list of blog post topics into a physical one, and I bullet out a few scenes in the Reschool Yourself book that I want to write. That way, the next time I find myself paralyzed by that blank page, I can look at the bits of inspiration that I’ve already gathered and get fired up write once again. Leave a comment: How do you gather inspiration to write? I keep some ideas on a note in Evernote, I try to always carry a notebook for ideas to look back on, and I take photos of scenes that inspire me for ‘no reason’ with my phone. Between (among?) those three things, and my own thoughts of the moment, I can usually get started. Those are great ideas! I keep meaning to try out Evernote. Darren just recommended it to me tonight because I start so many little TextEdit documents with random notes. I started a Google Doc for blog post ideas, so now they have a home.